Todd Jones passionate speaker leveraging a unique combination of straightforward business insights with military honed leadership experience. As a transformational catalyst, Todd has found himself at inflection points within companies, organizations, cultures and teams. 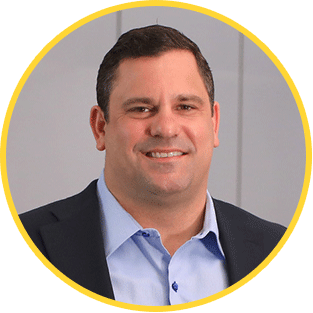 With his unwavering servant leadership and innate ability to identify disconnections, Todd has forged pathways for massive action, exponential growth and a philanthropic consciousness across industries and organizations. His impact is based on going beyond just what needs to evolve, but in helping to reshape the overall ethos wherever he’s engaged. The former President of BBMC Mortgage, Todd’s fresh take on business innovation and action-driven leadership is based on ensuring everyone understands what success looks like before they even begin. He challenges leaders to embrace a leadership style that makes things happen through well–thought, action–driven approaches, focused on the big picture. A financial industry expert and military veteran, Todd is known for building multiple successful retail and wholesale mortgage platforms, using data to disrupt traditional wisdom in distribution models, savvy investments, servant leadership and innovating cause marketing concepts that create opportunity for organizations interested in philanthropy. Stemming back to his West Point days, Todd is committed to the idea of the sum being greater than the parts. His approach to leadership enables those he guides and counsels to reap the rewards of engaged participation in taking a risk on new directions. Unlikely the traditional cultural norm of focusing on individual gain, Todd’s focus on impacting the whole is positioning him to provide value to expanding targets. Todd is a husband and a father pursuing the American Dream. He has passions that extend outside both the business realm and the veteran community, such as travel, sports and live music, and also a secret obsession as a self- professed science fiction geek.